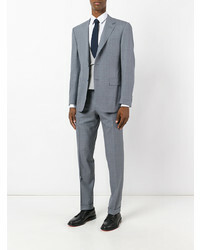 Opt for a Canali two piece suit and a grey vertical striped dress shirt for a sharp classy look. Feeling inventive? Complement your look with grey leather oxford shoes. 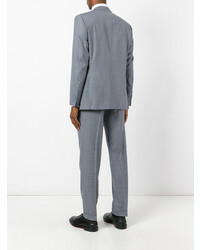 For a casually elegant ensemble, dress in a Canali two piece suit from farfetch.com and a grey crew-neck t-shirt — these two pieces go really smart together. When it comes to footwear, this look is complemented nicely with brown leather derby shoes. 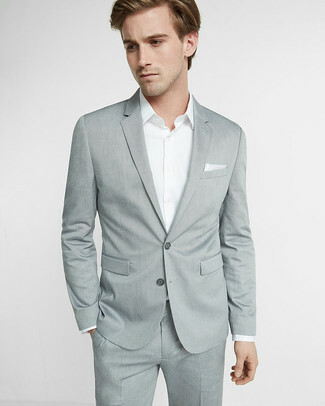 For a nothing less than incredibly stylish outfit, rock a grey suit with a black dress shirt. To add elegance to your getup, round off with black leather oxford shoes. 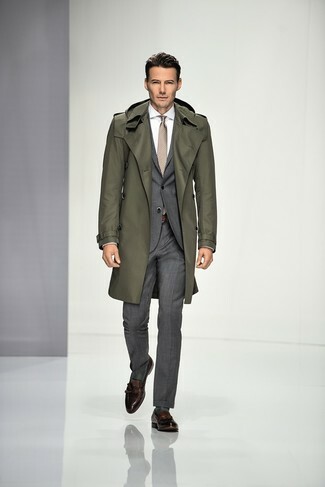 Team a Canali two piece suit with an olive trenchcoat for a classic and refined silhouette. Break up your look with more casual shoes, like this pair of dark brown leather tassel loafers. 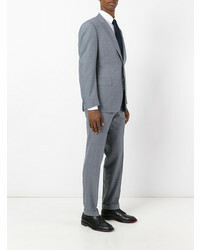 Team a grey suit with a navy dress shirt for a sharp, fashionable look. For something more on the daring side to finish off this outfit, go for a pair of dark brown leather derby shoes. 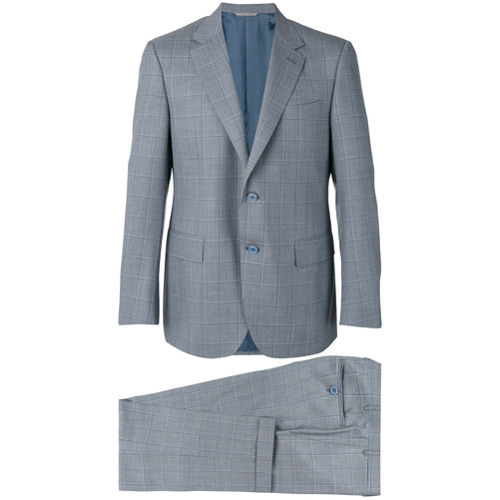 Pair a Canali two piece suit with a grey herringbone overcoat like a true gent. 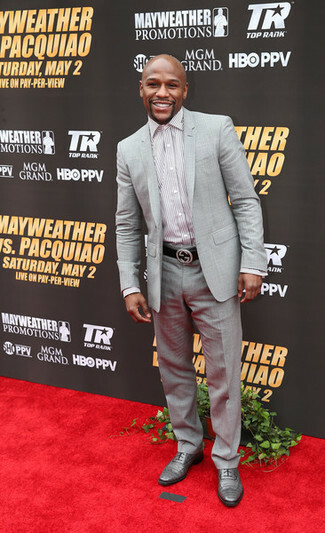 For a nothing less than incredibly stylish getup, dress in a grey suit and a white long sleeve shirt. 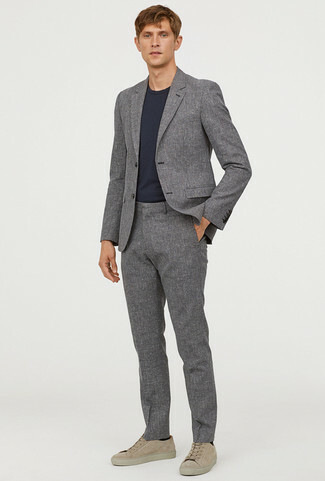 For a casually elegant outfit, consider pairing a Canali Two Piece Suit from farfetch.com with a black crew-neck t-shirt — these two items the place of work pretty good together. Opt for a pair of beige suede low top sneakers to make the getup more current. Contrary to what you might believe, being a dapper dude doesn't require that much effort. 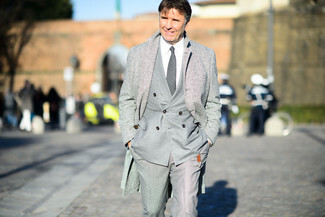 Just try teaming a Canali two piece suit with a grey crew-neck t-shirt and you'll look wonderful.